We are the only organization in the industry that offers 7 days per week support for our customers with the most technologically advanced systems in use today, call our professionals to get a price to move your pool table or if you only have general questions. Your satisfaction is what has made us the largest and most reliable professional company in the industry. Pool table services offered by the Appleton Pool Table Movers includes proper tear down, safe transport and professional pool table setup with precise leveling, refelting with the existing material is possible if it is in good condition. Although, the best time to refelt with new cloth is when the pool table is in pieces. Our professional team of pool table movers have years of experience and can handle all types of pool table moves from start to finish. We make sure your table is in the best playing condition it can be when we finish. We properly setup new and used pool tables all over the Appleton area and vicinity. We can also recover your pool table as well with new material if you desire for an additional cost. Guaranteed satisfaction and leveling on applicable pool tables. Complete pool table moves from one house to another and we service local businesses also. We also service Green Bay, Fond du Lac, Waupaca, Sheboygan, Shawano, Manitowoc, Ripon, Howard, Stevens Point, Clintonville, Oconto, Little Suamico, Oshkosh, Beaver Damm, Plymouth and surrounding areas. 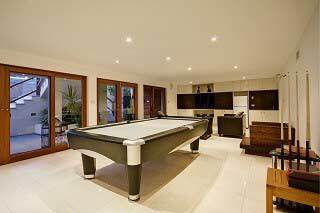 We move pool tables in homes, businesses and even garages! We handle every aspect of a pool table move, including proper tear down and a professional pool table setup. Other services include, in-home moves, proper break down and safe transport to storage, professional pool table setup, pool table recovering of an already installed table and moves in two appointments for when you need your floor carpet replaced. Do you need to have a pool table repair taken care of? We can also help! Our team of professional pool table movers will make sure you are taken care of either it be a residential or commercial service. We are well trained in our area of expertise. Why you should choose professional pool table installers? When you have a nice furniture style pool table to move, what are your choices? Our history as a family-owned business in the billiard moving and assembly industry spans over 40 years. We work with pool table installers in many areas and we have been exposed to the common practices in the pool table service business at levels that no other company could possibly understand. We are the largest pool table service company in North America and our mission has been giving the client the best and most reliable service possible. We are the only company offering a written 1-year service guarantee that covers everything that the other guys that charge minimal fees in order to just get your money can possibly offer. Traditionally in the country, pool table installers are a one or two man service with no customer support, client guarantees or even legal businesses. Our team can fill those weaknesses with an entire team of customer support personnel that will always be there, even when you can’t find the installer. We have taken the business to a higher level and our mission holds true today as it did a decade ago. Improving the client experience in the billiard industry is our primary cause. Please note that when moving a pool table we offer new cloth to refelt at the time of installation. The reason is that sometimes the current felt on the table is too old or worn out which means we may have to come back in the near future to take care of the pool table refelting service. This service on its own is a complex task because we will have to disassemble the table to a certain extent in order to properly recover with new material. If we take care of this during the pool table assembly it is less labor intensive and not only will you get a price break but you will also save some of your valuable time. On top of this, our exclusive guarantee backs up the pool table felt we provide against rips or manufacturer defects. We are the only company in the area with a guarantee such as this. If taking care of the pool table refelting service during installation is something you’re interested in, be sure to let us know in advance and we will have the material ready in your desired color. Our customers can choose from over 30 different colors of pool table felt. We use the highest quality pool table cloth the industry has to offer at this time. This cloth is also backed by our exclusive guarantee against tears or manufacturer’s defects. Our professional pool table installers works with standard woolen pool table cloth and tournament grade worsted materials as well. Also, if you’re not sure which size of table to pick, feel free to visit our pool table room sizes page to verify the pool table that will properly fit in the room where you want it setup. The Appleton Pool Table Movers is backed by the only National organization in our industry. As Members of the ABIA, we are the only company in the area to offer you an exclusive 1 year service guarantee IN WRITING and issued by the American Billiard Installers Association. The SOLO® Pool Table Movers of Appleton. We are backed by the American Billiard Installers Association and we service Green Bay, Fond du Lac, Waupaca, Sheboygan, Shawano, Manitowoc, Ripon, Howard, Stevens Point, Clintonville, Oconto, Little Suamico, Oshkosh, Beaver Damm, Plymouth and much more all over Wisconsin.